Single inside and Outside Cuts with both foot.Triple cuts with both feet. -Within a 10x10 grid, set-up a simple area (approx 5 yards). 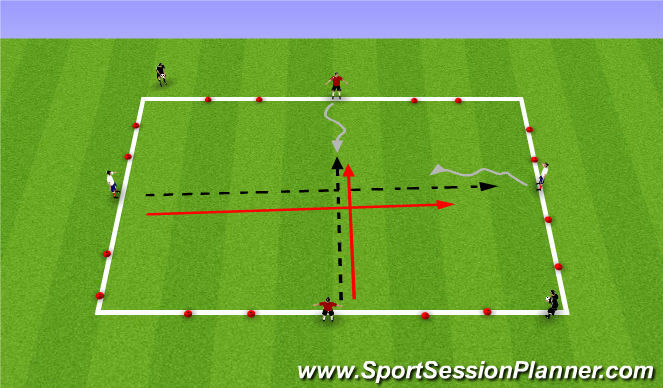 -Place two cones/markers to form a gate in one corner. -One defender in the area. Remaining players outside area, on corner opposite the gate. 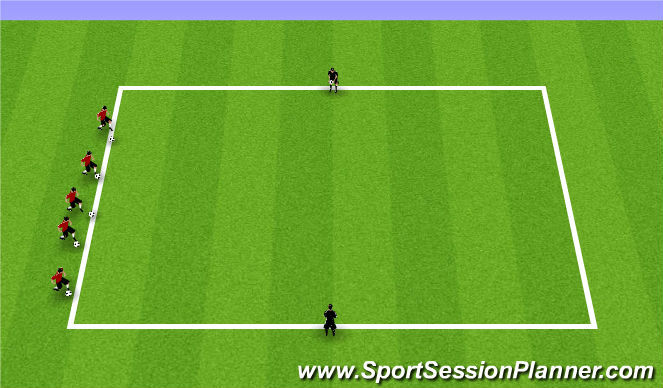 -One attacker at a time tries to get past the defender and through the gate to score a point. 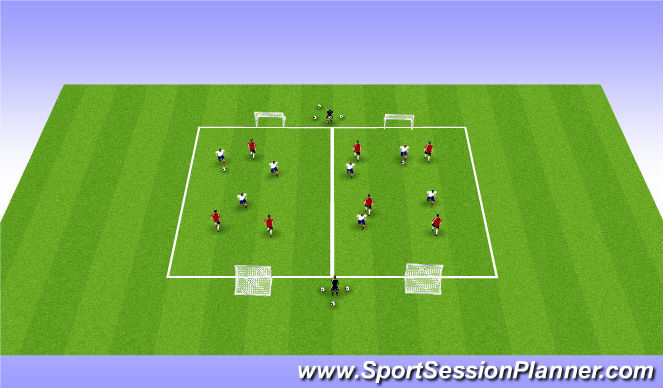 -If the defender can tag the attacker then they gain a point for themselves. Defender passes the ball to Attacker. Attacker attempts to score by dribbling through any of the gates on the Defender’s line. 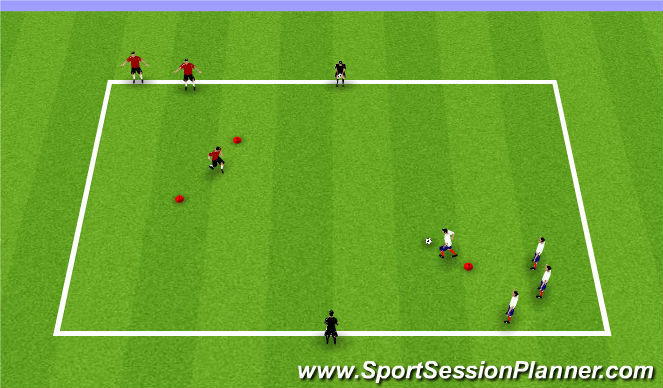 Defending player attempts to win possession of the ball to score by dribbling through the gates on the Attackers line. Then other line goes. Players swap roles frequently.